July 30, 2013 |­­As Friendly’s Ice Cream takes advantage of opportunities to leverage innovative mobile technologies, the company has engaged On The Spot Systems to help drive its internal menu testing and R&D initiatives. As the leader in location specific, real-time worldwide mobile surveys, On The Spot Systems tailored its SaaS tool to Friendly’s needs for more efficient and accurate menu testing. Friendly’s began using the mobile survey solution in January to conduct internal and consumer taste panels at its test kitchen in Wilbraham, MA. The use of On The Spot Systems’ tool allows Friendly’s to ensure that menu development efforts are à la mode- attuned to market demands. By reinvigorating its menu, Friendly’s ensures that its products remain relevant to consumers’ preferences and constantly evolving tastes, leading to a more competitive edge. During these panels, respondents are asked to assess new menu items and variations on Friendly’s popular classics. These tests allow Friendly’s R&D team to assess the potential success of new menu items and variations on its classic products in real-time. May 22, 2013 |­­Carvel®, a leading retailer of premium soft serve and hand dipped ice cream products, kicks off the peak frozen treat season with its annual system-wide “Free Cone Night” each April. This year, Carvel partnered with On The Spot Systems®, the world leader in location-specific, real-time mobile data collection technology, to ensure that all of its shoppes were fully prepared for the busiest night in the company’s calendar. On Free Cone Night, Carvel used On The Spot’s signature field data collection tool to create and implement mobile compliance audit forms for over 100 franchised shoppes across its organization. These forms focused on shoppe preparedness and provided Carvel management with real time data related to marketing, merchandising, and pricing. Photo validation technology also allowed the Carvel team to quickly confirm franchise compliance. Furthermore, On The Spot’s mobile forms and automated analytics saved hours of manual data entry for the Carvel field team, enabling access to field reports and other helpful location-specific data instantly. May 8, 2013 |­­On The Spot Systems®, the leader in location specific, real-time worldwide mobile surveys, today announces the success of a recent partnership with the nation’s leading fire-grilled chicken restaurant, California-based quick service chain El Pollo Loco. On The Spot Systems provides the company with its signature mobile R&D tool. April 24, 2013 |­­On The Spot Systems®, the leader in location specific, real­time worldwide mobile surveys, today announced the addition of TXT4SURVEY, a new text messaging option, to its already robust survey platform. TXT 4SURVEY is available for all On The Spot clients, and makes it even easier for smartphone customers to complete surveys in ways that are most comfortable to them. On The Spot Systems acquired the exclusive six­digit vanity SMS code “SURVEY,” or 787839, and added it to the company’s stable of survey delivery tools, which already includes mobile and web URLs, short codes, QR codes, and embedded iFrames. This major new feature provides On The Spot clients with even more ways to connect with their customers in real­ time. Users can simply text the client’s unique code to “SURVEY” using their smartphone or other web­-enabled mobile devices, and a link to the custom survey will be delivered to their SMS inbox within seconds. Since it became available, both Fuddruckers and Luby’s restaurant chains have already added TXT4SURVEY as an option for their survey customers. Recent studies show that 95% percent of existing mobile phone contracts include SMS service and that 90% of all text messages generated are opened within three minutes of delivery. This makes SMS texting one of the most effective channels for retailers and marketers to reach their customers. March 27, 2013 | ­­On The Spot Systems®, the leader in location specific, real­time worldwide mobile surveys,today announced a new partnership agreement with Fuddruckers Restaurants (NYSE: LUB) to provide the company with its signature Satisfaction Management tool. The survey tool will be deployed in all of Fuddruckers’ company owned restaurants and the majority of its 120 franchised locations across the US. Fuddruckers, famous globally for its “World's Greatest Hamburgers®,” is just the most recent win for On The Spot Systems, which also secured partnerships with PepsiCo Foodservice, Luby’s Cafeterias, and BJ’s Wholesale Club in 2012. This new partnership paves the way for Fuddruckers to take advantage of On The Spot’s unique features, including real­time customer feedback for service­focused industries, email list building, instant management alerts, and automated user­friendly reporting. On The Spot Systems’ cost­effective platform allows users to capture customer and employee feedback “on the spot” by using smartphones or tablet technology. Fully customizable surveys allow individualized branding without the need for a proprietary application and deliver immediate insights into guest satisfaction, market research and field data collection. Fuddruckers’ customers will be offered multiple ways to provide feedback on their dining experiences, including visiting a specific On The Spot Systems URL via a smartphone or tablet, or scanning a QR code. “Fuddruckers has been delighting guests for more than 30 years, and we are excited to work with such a prestigious brand,” said On The Spot Systems President Ken Kimmel. “On The Spot System’s real­time, actionable feedback model will ensure that Fuddruckers provides the world’s best customer service along with the world’s greatest hamburgers.” “What impressed us the most was how easy On The Spot Systems makes taking a survey,” said Mike Peay, Fuddruckers Director of Training. “We believe that the Survey On The Spot feedback tool will provide Fuddruckers restaurant managers with real­time feedback that will ensure our guests have the most enjoyable experience every time they visit. On The Spot Systems To Provide Mobile Survey Solution For BJ's Wholesale Club, Inc.
November 13, 2012 | On The Spot Systems®, Inc., the leader in location specific, real-time worldwide mobile surveys, today announced that it has partnered with BJ’s Wholesale Club, Inc. to develop a unique survey platform for BJ’s members. BJ’s Wholesale Club, Inc. is a leading operator of membership warehouse clubs in the Eastern United States, operating more than 190 Clubs in 15 states from Maine to Florida. On the Spot Systems’ survey platform will allow BJ’s members to quickly and easily provide real-time feedback about many of its private labeled products using Survey On The Spot®, the company’s proprietary mobile data collection technology. BJ’s Members can take brief surveys about Berkley & Jensen, Earth's Pride and Wellesley Farms products simply by scanning a QR code on the products’ packaging. The QR code will take BJ’s members immediately to a Custom Branded survey, where they can provide specific feedback about the product. As an incentive, members can also elect to be entered in a sweepstakes drawing for a $200 BJ’s Wholesale Club gift card. This collaboration allows BJ’s to take advantage of Survey On The Spot’s unique features, including real-time customer feedback for service-focused industries, email list building, instant management alerts, and automated user-friendly reporting. On The Spot Systems’ cost-effective platform allows users to capture customer and employee feedback “on the spot” by using smartphones or tablet technology. Fully customizable surveys allow individualized branding without the need for a proprietary application and deliver immediate insights into guest satisfaction, market research and field data collection. "Survey On The Spot will provide BJ’s with a quick read on how well its members and employees like certain products as well as ideas they may have for improvements,” continued Kimmel. “BJ’s members can use their smartphones while they are in the comfort of their own homes to provide feedback. The data will arrive instantly, allowing the company to act on it immediately." September 12, 2012 | On The Spot Systems®, Inc. (OTSS), the leader in location specific, real-time worldwide mobile surveys, today announced a new partnership agreement with Luby’s Cafeterias (NYSE: LUB) to provide the brand with its signature customer feedback tool, Survey On The Spot®. Luby’s is a popular, always-fresh cafeteria chain with 94 locations throughout Texas, Arkansas, and Oklahoma. This partnership paves the way for Luby’s to take advantage of Survey On The Spot’s unique features, including real-time customer feedback for service-focused industries, email list building, instant management alerts, and automated user-friendly reporting. On The Spot Systems’ cost-effective platform allows users to capture customer and employee feedback “on the spot” by using smartphones or tablet technology. Fully customizable surveys allow individualized branding without the need for a proprietary application and deliver immediate insights for guest satisfaction, market research and field data collection. Luby’s customers will be offered multiple ways to provide feedback on their dining experiences, including visiting a specific Survey On The Spot URL via a smartphone or tablet or scanning a QR code to have the survey automatically pushed to their mobile devices. They will also have the ability to send a specific text message code to initiate a survey.“We are delighted to work with an iconic restaurant brand like Luby’s,” said On The Spot Systems President Ken Kimmel. “Survey On The Spot’s real-time, actionable feedback model will ensure that both brands reach the highest standards of customer service and guest satisfaction.”“We believe that the Survey On The Spot feedback tool will provide Luby’s restaurant managers with real-time, immediate feedback that will ensure our customers have the best experience every time they visit,” said Luby’s Senior Vice President of Operations Todd Coutee. “On The Spot Systems will significantly enhance our ability to manage our customers experience.”On The Spot Systems is already gaining momentum in a range of service industries, including foodservice, healthcare, hospitality, transportation, and retail. June 6, 2012 | On The Spot Systems®, Inc., a leader in location specific, real-time worldwide mobile surveys, today announced an exclusive discount for PepsiCo Foodservice division customers on the company’s signature customer feedback tool, Survey On The Spot®. This exclusive opportunity provides Pepsi-serving restaurants, stadiums, theme parks, colleges and universities a significant discount on the Survey On The Spot mobile solution – the first of its kind. On The Spot Systems will provide a 25% discount on its “Basic” and “Pro” plans, as well as a 30-day free trial for new customers. 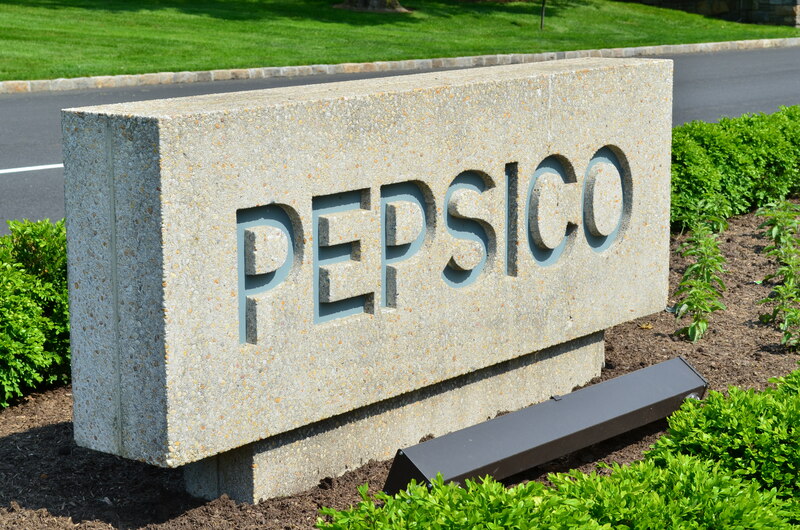 This discount program allows PepsiCo Foodservice customers to take advantage of Survey On The Spot’s unique features, including real-time customer feedback for service-focused industries, email list building, instant management alerts, and automated user-friendly reporting. The simple, cost effective platform allows users to capture customer and employee feedback “on the spot” by using smartphones or tablet technology. Fully customizable surveys allow individualized branding without the need for a proprietary application and deliver immediate insights into guest satisfaction, market research and field data collection. January 17, 2012 | On The Spot Systems®, a real-time mobile survey provider, today announced that it has closed a round of seed investment funding for $750,000 shared by Kepha Partners, a Waltham venture capital firm, Angel Street Capital of Providence, and Mike Sheehan, a strategic investor. The funding will enable the company to expand its market presence in food service and address emerging opportunities for mobile data collection in industries ranging from retail to healthcare and service organizations. "This is a significant vote of confidence in our company and allows us to continue to explore the different and meaningful ways that our technology can be used," said On The Spot Systems co-founder and CEO Geoff Palmer. "The growth we've experienced demonstrates that real-time customer and employee feedback from mobile devices is valued by organizations in a wide range of industries. With this funding we can expand our scope and explore new markets that will benefit from our solutions." Palmer was also a co-founder of uLocate, a start-up that became WHERE, Inc., which was acquired last year by PayPal. With the new capital, On The Spot Systems is looking forward to growing its team and will be investing in engineering, sales and marketing and enhancing customer support. "On The Spot Systems has grown impressively from bootstrapped to profitable in a short period of time and we're pleased to help them get to the next level," said Eric Hjerpe, partner with Kepha Partners. "We're excited to see their success within the current business framework and believe there is much greater potential given the capabilities of their mobile data collection system and its real-time business intelligence platform." To support their planned growth, On The Spot Systems has added Scott Savitz, founder and former CEO of footwear retailer ShoeBuy, as an advisor to their leadership team. Savitz has a long relationship with Palmer as he was one of ShoeBuy's angel investors. "I've always appreciated my angel investors," Savitz said. "Being in a position to give back and support fellow entrepreneurs through the various incarnations of companies makes the entire process more fulfilling." January 9, 2012 | On The Spot Systems, a mobile systems provider, announced today that 7-Eleven, Inc. is using its Survey On The Spot mobile survey platform to capture feedback from managers in the field. 7-Eleven recognized the critical importance of gaining timely and accurate market-level data in order to make better business decisions and began using the mobile survey system in March. "Using mobile technology to quickly and easily enable our field teams to provide real-time feedback is a terrific asset for our organization," said Steve Holland, 7-Eleven's chief technology officer. "Our previous paper-based system was time-consuming, and inefficient. We were not receiving nearly as much valuable feedback as we have since we began using Survey On The Spot. "7-Eleven can easily create and administer the surveys and send them to their field managers' smartphones through a link delivered via email or text message. The survey system allows the field managers to complete store visitation checklists and assess merchandising performance and other market-level data collection needs while they are away from their office. "Understanding market level conditions in real-time results in better decision making," said Scott McCombs, vice president of merchandising operations for 7-Eleven. "Survey On The Spot provides reliable and timely data in automated reporting so that we can see how we are doing with each question. We are able to take the data and respond more effectively to market changes." By implementing Survey On The Spot, 7-Eleven is able to eliminate the need for secondary data entry commonly needed for paper-based surveys. Mobile access makes data collection more convenient than using a laptop, and field personnel can gain insights on the performance of their units across multiple locations on the same day. Field managers also can submit a photo in the survey for clear validation of performance issues. The use of location specific Quick Response (QR) codes can also be implemented to manage compliance and validate location details. "Partnering with the team at 7-Eleven has resulted in identifying a new and powerful tool for our customers," said On The Spot Systems Co-founder and President Ken Kimmel. "Using Survey On The Spot for field data collection makes it easy for staff teams to obtain feedback from the field through their smartphones. Data is compiled immediately for rapid assessment and interpretation allowing a quicker response." December 20, 2011 | On The Spot Systems, a mobile systems provider, today announced that it is receiving record-high responses from surveys in its healthcare sector. The system allows doctors to better understand the quality of care while saving hospitals time and money. It is currently used to survey patients at several different points of care in healthcare facilities including emergency rooms, transitional care units, and nursing departments. March 7, 2011 | On The Spot Systems, a mobile systems provider, announced today that Signature Healthcare Brockton Hospital is using its SURVEY ON THE SPOT iPhone survey application in the hospital’s Transitional Care Unit (TCU). The administration in the TCU recognized the critical importance of understanding patient service standards and launched their customized patient satisfaction survey on February 7, 2011. November 29, 2010 | On The Spot Systems, a mobile systems provider, today announced that Not Your Average Joe’s increased customer survey responses by 200 percent, going from collecting an average of 300 survey responses per month at one location to securing more than 900 responses in one month without a consumer incentive. Not Your Average Joe’s achieved these results by asking patrons to take a custom branded and designed survey via SURVEY ON THE SPOT’s mobile application using a restaurant supplied iPod touch device. SURVEY ON THE SPOT is a fully-customizable user-friendly application that allows restaurants to instantly capture customer feedback, receive management service alerts, gather results in detailed data reporting and provide customers with digital rewards. Survey On The Spot teams up with Olea Kiosks to Capture Customer Feedback. November 8, 2010 | On The Spot Systems, a mobile systems provider, will have their customized SURVEY ON THE SPOT iPad survey app on display in the Olea Kiosks exhibit at the Customer Engagement Technology World (CETW) trade show. Olea Kiosks offers a full range of self-service and multi-media kiosks. At the CETW trade show, Olea will capture customer feedback using SURVEY ON THE SPOT on an iPad mounted in their new PadLock iPad enclosure. This allows conference attendees to easily provide feedback via SURVEY ON THE SPOT’s custom branded and designed iPhone survey app tailored specifically for the trade show. Has mobile made feedback instantaneous? And do retailers like it? November 2, 2010 | As part of their Survey on the Spot mobile application, On the Spot Systems, a mobile systems provider based in Boston, recently rolled out a custom-branded and designed survey tailored for salons and spas. October 21, 2010 | Mobile systems provider ON THE SPOT SYSTEMS has been selected as a finalist in the “Mobile” and “Professional Services” categories for the 15th Annual MITX Interactive Awards for its mobile survey application, SURVEY ON THE SPOT. Held annually by the Massachusetts Innovation & Technology Exchange, the MITX Awards recognize excellence in the creation of web innovations designed, produced or developed in New England. BostonCoach Utilizes New iPhone Survey App, "Survey On The Spot,"
April 28, 2010 | On The Spot Systems CEO Geoff Palmer today announced that BostonCoach, one of the country's leading providers of chauffeured ground transportation, has chosen the SURVEY ON THE SPOT mobile customer survey application as a platform to gather client feedback. Providing instant access to customer opinions, SURVEY ON THE SPOT enables businesses like BostonCoach to gather information from customers on their iPhones, smartphones and the web. "We are thrilled to be working with BostonCoach," said Palmer. "SURVEY ON THE SPOT will enhance BostonCoach's efforts to gain insight into the needs of its clients, which is critical in the service business." As a service-focused company, BostonCoach recognizes the importance of quality customer service and therefore considers it a priority to respond to client feedback. SURVEY ON THE SPOT will help BostonCoach reach its service goals by allowing the business to receive service and satisfaction insights directly from the clients while they are experiencing the service in the company's vehicles. "The thoughts and opinions of our clients are extremely important to us," said BostonCoach President and CEO Larry Moulter. "We are always eager to gather and learn from client feedback. The SURVEY ON THE SPOT mobile survey application enables us to engage our clients in real time and use their insights to provide client-focused, best-in-class service." April 15, 2010 | ON THE SPOT SYSTEMS President Ken Kimmel today announced that the company's SURVEY ON THE SPOT mobile application will be featured at the Simmons Leadership Conference at The Seaport World Trade Center in Boston on Friday, April 30. "We are honored to have the opportunity to take part in such a well respected conference," said Palmer. "By utilizing SURVEY ON THE SPOT to receive real-time feedback from conference attendees, Simmons is clearly demonstrating its commitment to being responsive to attendees' interests and input." The ON THE SPOT SYSTEMS team has developed several custom mobile surveys for conference attendees designed to garner valuable feedback and insight for conference organizers into various aspects of the conference. Surveys will cover everything from the registration process and individual sessions to feedback on the facilities and the conference as a whole. The 2010 Simmons Leadership Conference - themed The Spirit of Resilience - is a showcase for women's collective achievements. The conference will feature leaders of state, top executives of major corporations, media personalities, and Hollywood celebrities. The program offers a day of information and inspiration for over 2,000 women seeking to compete in today's changing business climate while maintaining balance in their lives. Keynote speakers Tina Brown, Mia Farrow, Cicely Tyson, and Sheryl WuDunn will relate their professional experiences and personal stories. SURVEY ON THE SPOT provides air travelers with easy access to a questionnaire that has been used by the TSA to rate screening procedures and gauge consumer confidence in the security of air travel. December 31, 2009 | On The Spot Systems, Inc., announced today that their iPhone application, SURVEY ON THE SPOT, is now available to air travelers to rate airport security screening by completing a Transportation Security Administration (TSA) survey. SURVEY ON THE SPOT uses the iPhone's GPS to identify the user's location and enables smartphone users to answer a TSA questionnaire quickly and easily immediately after passing through the security checkpoint.